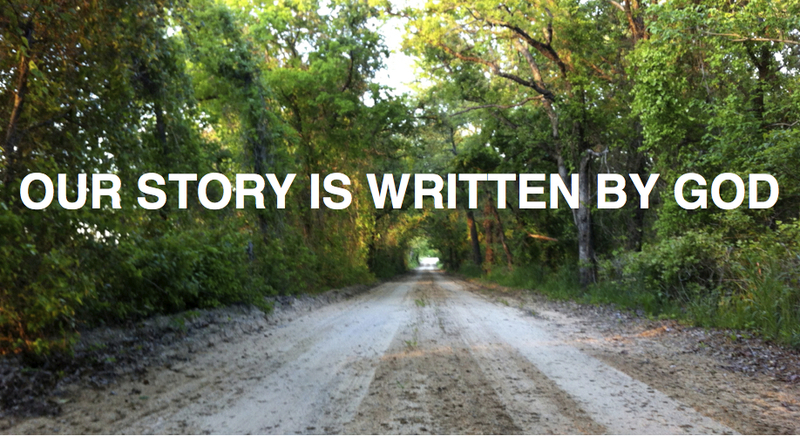 (1) I am writing my own story. (2) I am a character in a story. Most of you were probably drawn to the first statement because we want to write our own story. As Americans, this is natural because we are constantly told we have to carve out our own path in life. We are told we have to do things for ourselves. No one else is going to make this happen for you, you have to make it happen for yourself. This mentality is written into the fabric of our culture. From tales of the Gold Rush, to the idea of Capitalism, to images of self-made millionaires, we are constantly told we are in control of our own destinies. Even though our culture tells us we are the one’s writing our own story, we have to understand that we are character’s in God’s story. God is the writer of the story, and we are the characters. His story starts at creation (Gen. 1:1). It ends with those in Christ living for all of eternity in a recreated world (Rev. 22). Everyone’s life on earth occurs somewhere in between those two events, and we are all apart of the overarching story of God. I know that some of you may be thinking, why is that? Why am I apart of God’s story? Why am I not creating my own story? Let’s answer that question. These verses tell us that God is the Creator and we are His creation. We were created by God in His image. As His creation, we are subject to Him, because He is our Creator. We are not gods. We do not forge our own path. Rather, we look to God, who is our Creator and the writer of the story, and we ask what path He would have us take. So we see that where we are at right now is because God wants us there. It is apart of God’s sovereign plan that I live in Decatur, TX, pastor Sycamore Baptist Church, buy my groceries at Wal-Mart, along with everything else that occurs in my life because God is the writer of my story. He is the writer of your story as well. If this is true, if God is the writer of the story, and we are characters in His story, we should be content where He has us, because He has us there for a reason. In addition, if we are characters in God’s story, and His story is accessible to us in His Word, then we need to be a people of the Word, so we will know both the overall story, as well as our own purpose in God’s story, which I will discuss in my next post in this series. Before I end, let me give you a few questions for reflection. Are you attempting to write your own story, or find your place in God’s story? Do you believe where you are right now is apart of God’s plan for your life? Do you agree with the Psalmist’s statement that our days are written even before we were formed? Do you see your current situation as a way to glorify God, or do you see it as a hurdle to get you to the place you really want to be? Bill Clem, Disciple: Finding your identity in Jesus, 11-35. What is My Purpose in the World?